"The Edi-Cheshunt turquoise field occur in northeastern Victoria about 45 km northeast of Mansfield. Eight outcrops occur in a series of belts lying to the east of the small settlement of Cheshunt. The belts commence about 7 km southeast of Cheshunt and extend in a northwesterly direction over a distance of about 5 km in the Black Range. 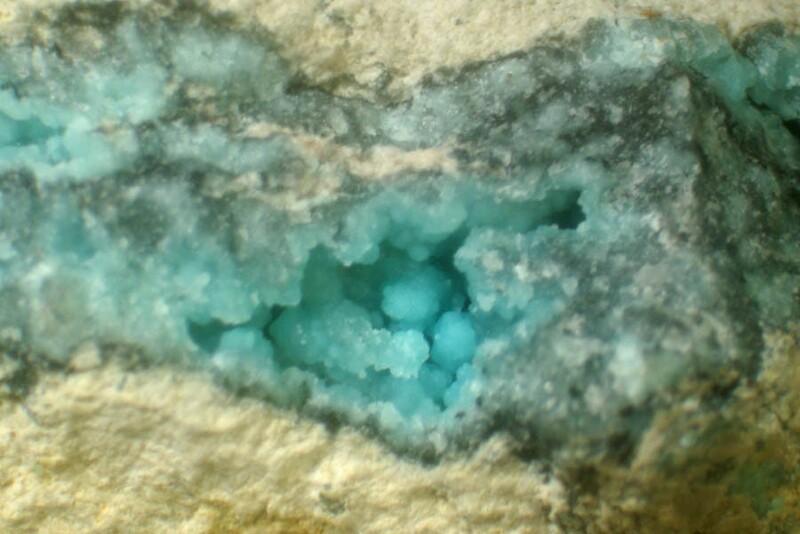 These eight turquoise deposits were being worked in the 1890's. Locality No.1 was the most southerly location and probably the largest working, 60 m wide and 15m deep. Locality No.2 was 0.9 km northwest of Locality No.1. Known as the New Discovery Mine, it was the first deposit opened. Locality No.3, 3.6 km from Locality No.1 was known as Mount Avis Extended Mine. Locality No.4, about 0.9 km from Locality No.3, was known as the Mount Avis Mine. Locality No.6 was on a farm near Sheep Station Creek, but little work had been done mainly due to the working being only a short distance above creek level. Location No.7, about 300 m northwest of Locality No.6 and known as Masson Company's workings, consisted of a deep narrow cutting in the hillside and a shaft. Locality No.8 consisted of only a small opening 3.2 km northwest of Locality No.7. The tunnels at Locality 4 and 5 are still accessible whilst the large workings at Localities 1 and 3 are quite impressive. 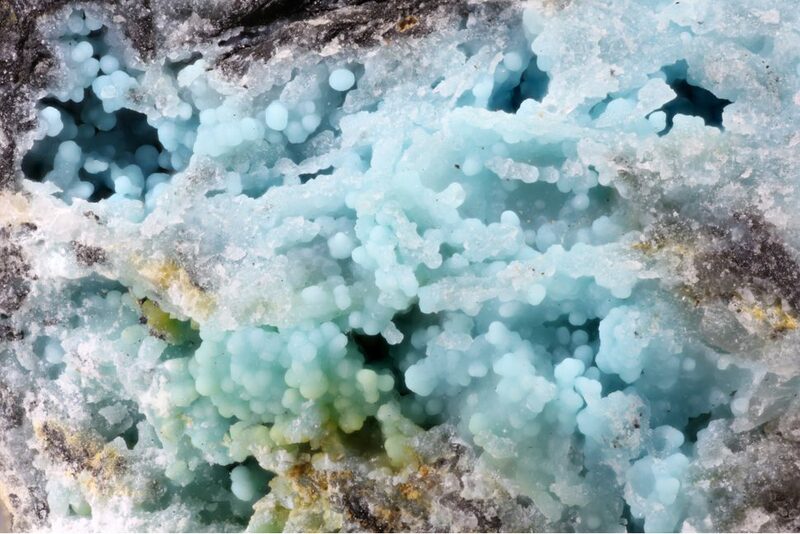 Little is known of how much turquoise was mined from the area and to whom it was sold. No records can be found after 1921 of any further mining in the district." Description: Black shale and slate, siliceous mudstone, chert, siltstone, fine grained quartz sandstone to quartzite; deep marine, massive to laminated, commonly graptolitic. Birch, W.D. & Henry D.A. (1993) Phosphate Minerals of Victoria. The Mineralogical Society of Victoria - Special publication No.3 (192p) pp.83-90.